October 2016 Horoscope Aquarius, free Monthly Horoscope for October 2016 and Aquarius Astrology Forecast for the month ahead. Aquarius, the final sign of the zodiac of the air trine, in October of 2016 will find itself in a rather challenging situation. On the one hand, Saturn, your traditional ruler, will, figuratively speaking, "betray" you and you will lose a really powerful defender, which will not work to your advantage considering the fact that you will also lack your "heavenly leader". At the same time, Mars, which is usually responsible for the "fall" of Aquarius, will easily replace Saturn's place and decide to seriously reconsider its "world view". As a result, this month special attention should be given to your personal development and getting rid of openly destructive and bad qualities. There will be no exceptionally negative situations expected; it will be a quite calm and placid time. However, your negative traits will operate in full force and that's what will be the root of your real problems. You will have to focus on yourself and put in a lot of effort so that at the end of the third decade you can achieve the desired result. And you thought that giving up smoking is difficult? In fact, it's really nothing compared to the "breaking" of your personality. Nevertheless, sometimes you need to overcome yourself in order not to stay, as they say, along and with nothing. 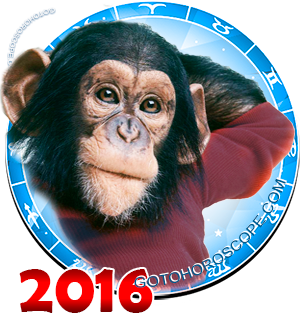 In the working direction in October 2016 the odds will be in Aquarius's favor, though in moderation. Your luck will manifest itself in the fact that you won't find yourself in a difficult situation that anyone else will be going through at this stage of life. But it will be a short gust of wind rather than a real storm, so it makes no sense to dwell on this. You'd better take a closer look at your finances, which, although won't be too tight, won't be up to par either at the height of the fall season. If you work for yourself, tyou shouldn't rush to make really important decisions, whereas you should crack insignificant issues as easily as a nutcracker, without giving them too much thought. All your resources, both personal and physical, should be concentrated on specific areas, and you won't have any difficulty defining them. Do not try to reach exceptional heights; now you won't be able to do this and will just waste your time. Regarding the Aquarius who don't run their own business, you are strongly recommended to focus your attention on your own department, or the scope (area) that is in general under your control. Now the success of each of the current projects will depend on your perseverance. In terms of sensory-emotional sphere, October of 2016 may turn out to be not so serious a time, but unusual. It has already been mentioned that now you unconsciously (although it would be better if it were consciously) step on the path of self-improvement and overall development. With this being said, the concept of "self-improvement" will be especially to the point, because right now this is actually the best time to put an end to drinking, smoking and other shameful "business". Despite the fact that it will be hard to give up your bad habits and qualities (the latter ones in particular), October will be the most favorable time for you this year. Therefore, the stars still recommend that you do your best no matter how hard it might sound. In addition, your "significant other" will be entirely on your side, but if their position is directly opposite this statement, this fact will be a clear and direct indication that you urgently need to change something in your relationship. Perhaps it makes sense to act more openly, or change the format of your communication. In this respect, no one will be able to help you, neither stars, nor friends; everything will be up to you.